The Virgin America brand blazed into existence five years ago. Ever since, it has become the preeminent airline of choice for those who love style and flair. From the moment you set foot in the airport until you get off the plane at your destination, you are completely immersed in the Virgin experience. Walking into Virgin’s ticketing area is like walking into a ridiculously chic, trendy, and fashionable nightclub. 12 alternating shades of blue and purple bathe the space in an unrealistically cool glow. A mix of trance and dance music fills the room—for a moment there I almost caught myself dancing. The normally dull check-in’s I have gone through at other airline ticket counters was replaced by an experience so entertaining I was honestly a little sad when it was over. 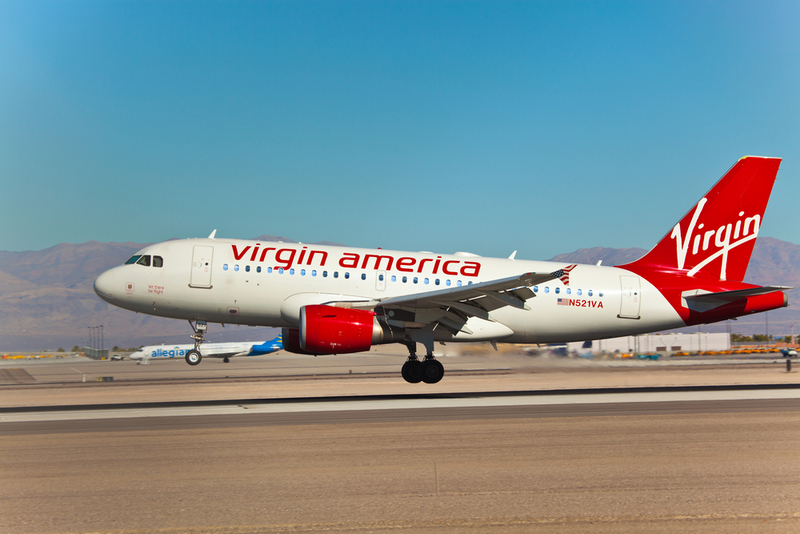 It’s the tiny eccentricities that truly distinguish the Virgin brand from other airlines. After I went through security the visual ambiance, music, and vibe returned as soon as I reentered Virgin controlled territory. Young energetic customer service representatives, willing to help with all my needs, and gorgeous flight attendants—wearing stylish uniforms designed in collaboration with Banana Republic—filled the terminal. Sitting at the gate felt like chilling in the VIP section of a lounge, and waiting to board wasn’t dreary and boring like it is with other airlines. My experience in the airport, though amazing, was just the beginning. Stepping into the airplane, the music and lighting were still exceptionally chic; the drab yellow-white main cabin lights found on other airlines were replaced by Virgins unique 12-shade color scheme. However what really got my heart racing was the spacecraft like design of the interior. The main cabin seats are black and white. (When I looked towards the front of the plane all I saw was white and when I looked back all I saw was black.) The seat is crisp black leather and the frame is polished white plastic that reminded me of the main bridge on the Starship Enterprise. Once in my seat, I realized that I was sitting in a new aircraft (the average age of a Virgin America aircraft is 3.5 years old). All the seats have a sophisticated in-flight entertainment system called Red™ installed in them, which allowed me to watch on-demand movies and TV, view live satellite, and listen to over 3000mp3’s. Nonetheless what really excited me about Red™ was that it allowed me to order and pay for food without ever having to get anyone’s attention. The whole system is like nothing ever before seen on an airline. Gone are the days of being forced to watch a pre-edited movie; Virgin America has put the entertainment back into air travel and I couldn’t have been happier. This entry was posted in Branding, Brands, Reviews, Social Good and tagged Airline review, Banana Republic, flight review, RED, Virgin, Virgin America, Virgin America 5 year anniversary, Virgin America review. Bookmark the permalink. Although I haven’t had the opportunity to live the experience, just reading this makes me want to pick a flight anywhere to ride the “ride”.